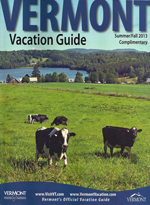 The Open Fields Medieval Festival was featured as a "Pick for Kids" by the Vermont Chamber of Commerce in the Summer/Fall 2013 Vermont Vacation Guide. 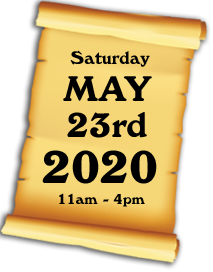 On Saturday, May 25, 2019, Open Fields will hold its Medieval Festival on the Thetford Green from 11 am to 4 pm. During this annual family-friendly festival, the Green comes alive with the sights and sounds of a Medieval village. 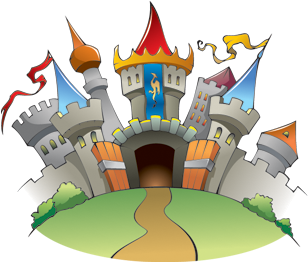 A King & Queen, knights and ladies, peasants, craftsmen, shepherds, and farmers gather to celebrate the age via music, dance, games of skill and chance, food, parades, storytelling, Benny the Dragon, and feats of juggling and acrobatics. Costumes are encouraged. 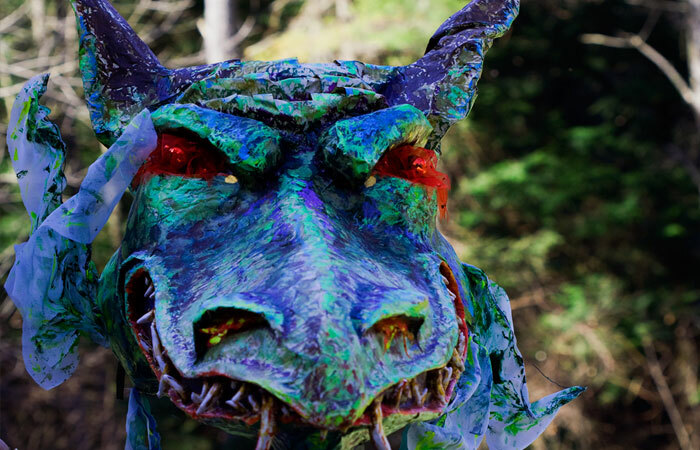 The 2019 Open Fields Medieval Festival will feature the talents of the No Strings Marionette Company, as well as other performers and musicians. Our Medieval Festival is family-focused, with an emphasis on children ages 3 to 12, and is a wonderful community event. It is also a green event - in the past, our full day festival has generated only one bag of trash. The Medieval Festival is a RAIN or SHINE event. The No String Marionette performance is held indoors, and our village has plenty of tents which house activities. The Festival caters to families with children of all ages and features fun, hands-on activities and entertainment. All manners of lively entertainment fill the Green, including the No Strings Marionette Company. Celebrate the age in costume! Costumes and accessories are available to purchase at the festival or wear your own. Enjoy signature Festival foods or discover something new at one of our food booths, including vegetarian, vegan, and gluten-free choices. See demonstrations of traditional crafts by local artists and buy souvenirs of your journey to the Middle Ages. This year, look for the baby goats! Hobbits Head 2 Toe features a whimsical assortment of renaissance and fantasy accessories. Simon Brooks returns this year to enthrall and entrance listeners of all ages with his capitivating live storytelling. Don’t miss it! Dragon Mountain Kung Fu is an adventure-based, martial arts program for children. The program is an exciting blend of physical training and mental focus designed to help prepare the kids for the challenges of life. Our Vermont Medieval Festival wouldn't be possible without the generous support of our sponsors. Thank you! For a full list of sponsors and for more information on sponsorship, please visit our Sponsors page.